That's video-game grinding -- not whatever you're thinking of. My Pokémon Go survival kit keeps growing. It started simply enough, with just my iPhone 6 Plus happily running Pokémon Go, but it quickly became apparent that I would need backup battery power in order to comfortably catch digital monsters for extended periods of time. After all, this is a game that takes players away from their outlets and into the great wilds of the real world, so I shoved a portable power pack and cable into my purse. I happen to live in Arizona, so I soon added an icy water bottle to the mix. 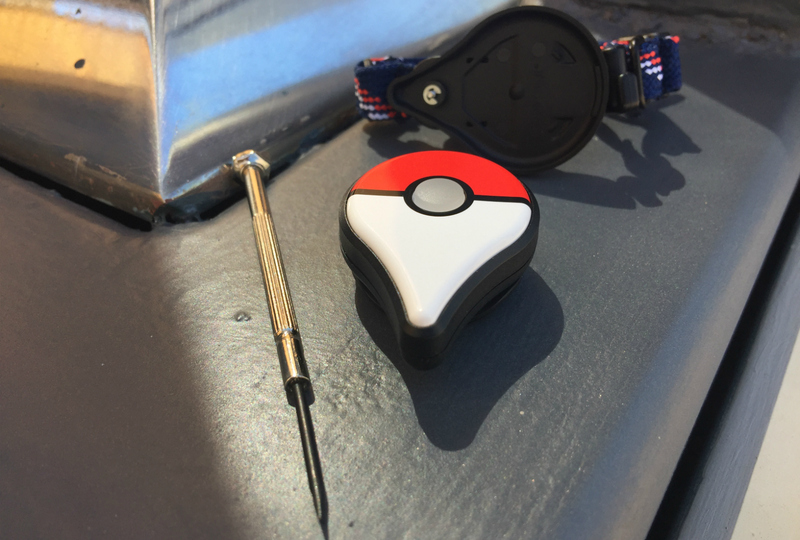 Now, with the launch of Pokémon Go Plus, my kit also includes a lanyard bracelet, a plastic vibrating teardrop painted like a Poké Ball and a tiny screwdriver. I'm starting to suspect Ash Ketchum was hiding more than hair under his iconic hat. 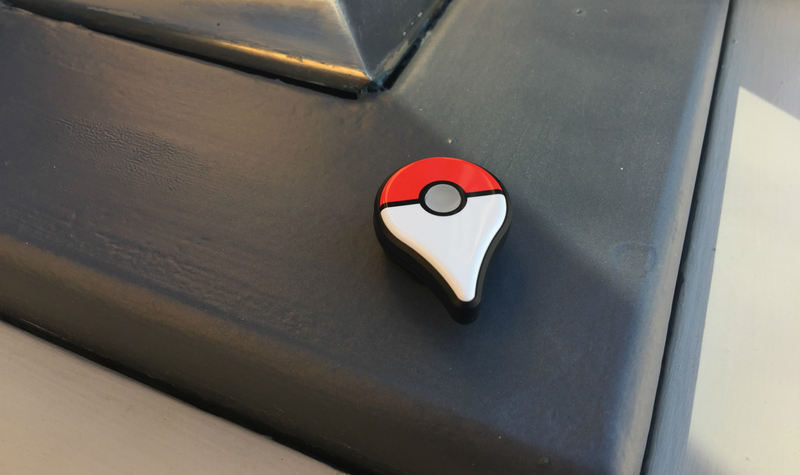 Pokémon Go Plus is a $35 accessory that connects to iOS or Android versions of Pokémon Go via Bluetooth. The main gadget is a teardrop-shape hunk of plastic with an opaque button in the center that glows different colors depending on the feedback it receives from the actual game. 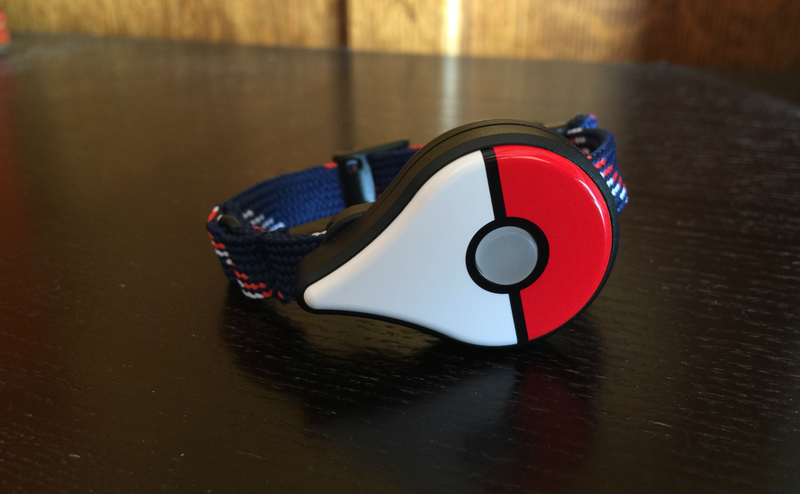 The whole device vibrates and lights up when Pokémon or PokéStops are nearby. The teardrop comes with a clip on the back so you can wear it on a belt, collar or backpack strap, or you can pop it into the included lanyard bracelet. It's more complicated than just shoving it into the plastic holder, though (as anyone who watched my live unboxing video can attest). You have to unscrew the back of the teardrop with a teensy screwdriver, removing the clip and exposing the battery, and then re-screw it into the bracelet case. The bracelet screw is found under a length of lanyard running under the back of the plastic holder, so you have to move the bracelet itself out of the way before tightening the teardrop into position. It's not necessarily difficult, but it is delicate work. With the tools and screws involved in moving the Plus from bracelet to clip, I imagine folks will pick one way of wearing the device and stick with it. Both options are viable, though I prefer the bracelet option. However, I'm not wearing a watch today; if I decide to put one on, it's possible the clip option will be more attractive. Apple did just unveil Pokémon Go support for the Apple Watch, after all. In daily life, it may simply depend on whether I can find my tiny screwdriver. The bracelet option is my favorite because it's the most convenient. The teardrop vibrates powerfully enough to feel even if the lanyard isn't digging into your skin and it's natural to flick up your wrist to check the notification colors. The button pulses green when you're near a Pokémon you've previously caught, it flashes yellow for new Pokémon and it glows blue for PokéStops. This is where Pokémon Go Plus is most useful: PokéStops. Once the teardrop flashes blue and vibrates, press the button and voila, a bounty of Poké Balls, potions and miscellany are added to your inventory. That is, unless your inventory is full or you leave the PokéStop's range before collecting the goodies. The bracelet lets you know if you're successful by flashing in a rainbow of colors; if it doesn't work, the device flashes red. The same goes for catching Pokémon, though there are a few caveats here. The teardrop vibrates and lights up when a Pokémon is near, but there's no way to tell what kind or what level that Pokémon is. Nor is there a way to change which type of Poké Ball you throw -- if you want to use an Ultra Ball or raspberries, you'll have to pull out your phone. With Pokémon Go Plus, you could unwittingly walk by a 2000 CP Charizard and attempt to catch it with a single standard Poké Ball, which is highly unlikely to work. It's crucial to note that with Pokémon Go Plus, you get just one chance to catch each creature; they always run away if you're not successful on the first throw. I walked around my neighborhood, which is thankfully littered with PokéStops, and tried the Pokémon Go Plus on my wrist and clipped to the top of my jeans. Both options worked well, though I happened to be wearing high-waisted jeans and whenever the device activated there, it felt like a fat worm attempting to wriggle across my stomach. Its vibrations are definitely powerful enough get your attention -- and maybe the attention of anyone nearby. I entered my building's elevator with four other people and felt just a little ridiculous as the Plus vibrated and lit up at the top of my jeans. At least on my wrist I can fool strangers into thinking it's a new kind of fitness tracker, rather than an accessory for a mobile game about trapping exotic fictional monsters in palm-size prison balls. Pokémon Go Plus is not a replacement for the game on your phone, but it's good for the simple stuff, like hitting PokéStops and catching stray Rattatas, Pidgeys and Spearows. It's a grinding machine. And, in a game where grinding is crucial for anyone who wants to dominate a gym or two, that's not a terrible thing. Just be prepared to pack a few more items in your Pokémon Go survival bag.